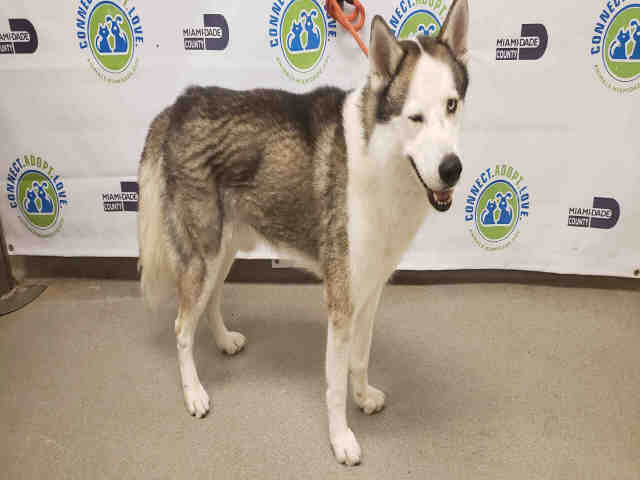 KING located in Doral, FL was euthanized on Nov 30, 2018! ***On the sixth day that a stray dog is at the shelter it becomes available for adoption, rescue or being euthanized. Owner-surrendered dogs are available for adoption or rescue the day they arrive at the shelter, granted they are spayed/neutered. That can also mean, if the dog did not pass our health/temperament test, the dog can be humanely euthanized the day of arrival. Each dog, whether a stray or an owner-surrender, is optimistically given approximately 2 weeks on this website from the date it enters the shelter to find a forever home or the safety of rescue. Please act quickly if you are interested in this dog. Unlike private shelters that have limitations on the number of pets they accept, we accept all dogs and cats. No animal is ever turned away. Each year our shelter takes in more than 14,000 dogs. Our goal is to reunite lost pets with their owners and find life long homes for as many animals as possible while providing proper care for them while they're at the shelter. You may send an email to pets@miamidade.gov but keep in mind that your message will not be returned instantly and that time is running out for this dog. Interested adopters can also call 305-884-1101 for information about this dog's status, but adoption holds cannot be placed over the phone. ADOPTIONS MUST BE COMPLETED AT THE SHELTER. PLEASE WRITE DOWN THE DOGS ID# AND COME IN PERSON TO MEET THE DOG TO PLACE AN ADOPTION HOLD ON IT. You will then return on a specified date/time to pick it up after we spay/neuter, if it is not already altered.